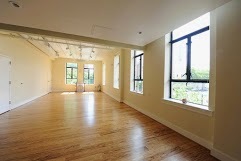 We've been so busy getting the house ready to sell that I haven't had a chance to get to Radiance (my most favorite yoga studio of all time) for a class in over a month. I was excited Saturday to finally get a chance to grab my mat and go to the 830am class. I was so stoked for a wonderful, relaxing kundalini/meditation class. I got there and for the first time I'm not a staff member so I pay full price, which I was expecting but makes me sad - not because of the money I'm glad I'm supporting such an awesome studio but because I'm officially no longer 'part of the team'. It had to be done though, between taking care of Ellie, Bill’s long hours at work and getting ready to move I haven't been in to work a shift in weeks. The lady at the desk didn't know me, which made it worse. This was my space, behind that desk, my second home and now I'm a stranger in it. "I used to work here." I blurted out. I don't know why but I needed her to know that. She doesn't respond. What did I expect her to say? I shrug it off, that's life. Change is the only constant, and I get settled in with my mat. I look around and realize I don’t recognize anyone. Kundalini yogi’s are a tight-knit group for the most part - the same beautiful faces show up time and time again. I padded back out to the desk. "This isn't Kundalini is it?" "No, it's core strength and stretch." “Nooooooo! !” I say, probably too loudly. I think I actually stamped a foot. I was so looking forward to the warmth, the love, the comraderie of a kundalini class. I didn't want the rigors and work of a core class with people I didn’t know! "There a kundalini class later today." She said helpfully. How could she know that this was my ONE chance to get out the house and get to class this weekend, that I had a baby at home and a husband itching to get back to work (on the house, our taxes, there's always something). It's a 24 minute drive there, 24 mins back, I'd never get out again the same day and we had plans for all day Sunday. "No, I have a baby I can't just come back when I want." I said, irritated, disappointed. I try to shrug it off again. As part of my deepening yoga journey I’ve started to trust in mistakes. Sometimes you get what you really need when you get what you didn’t want. "Ok I'm here. Guess I'm lucky there was a class at all. Core strength and stretch it is.” I say to no one in particular. "You may regret that." Someone said with a rueful smile. Greeeeaaat. The teacher came over and introduced herself. I can't remember her name because I was obsessing over the fact that when I introduced MYSELF I said my name was Angela, not Angie as they knew me around the studio. The formal, distancing of my name that I use when shy/nervous or trying to be professional. A barrier between me and whomever I am talking to. Once again for reasons I can't explain I blurted out that I used to work here but then had a baby. Change. I usually love it. Today I hated it. I try to let it remind me to appreciate the way things are here, right now, because I will never be back here again in this time, in this space, in this house, in this state, in this world the way it is right now. Off to class I go. And of course it was exactly what I needed. All the physical work and stress of moving had really taken a toll on my body. Then there is 'that moment.' THE moment, half-way into class, when my body is warmed up and my frenetic, self-absorbed thoughts finally stutter to a slow crawl is when ‘it’ finally happens. Then gratitude. Or maybe its the gratitude and then the joy they’re all mixed up together. That feeling washes over me and the world shifts. For just a fleeting second or two my mind is centered, my body reveling in the transitions between warrior one and warrior two. I feel playful and grounded and whole all at the same time. I am reminded that although the world spins crazily around me changing everyone and everything I know, there are some things that never change. The sunlight streaming into the windows didn’t change. The fans lazily twirling didn’t change. The candles, the love and thought that went into the design of this most cozy and inviting of spaces didn’t change. I don’t know how many times I will get a chance to practice here before we move but I will savor every one. Even if no one in the room knows me, even if the class I signed up for wasn't the class I wanted. But if I had never left I wouldn’t have found this studio, or discovered Kundalini Yoga, or met Masuda, or Tina, or all of the wonderful teachers that helped me deepen my practice. I am so grateful to all of them, and to have had this experience. So, Change, BRING IT. I’m ready for you. I mean, if you’re ready I’m ready. You know, if you feel like it, or whatever, if not, it’s cool. Maybe give me a couple more downward dogs and some headstands. THEN I’ll be ready. Then Change, then you can BRING IT. Yeah. Lol. I'm just amazed someone other than my mom and dad have read this thing. AMAZED! I'm glad you have a way to de- stress. You will do well in Houston too. You are a survivor! All I need is a can-do attitude and a cowboy hat right!? Wheeeee!